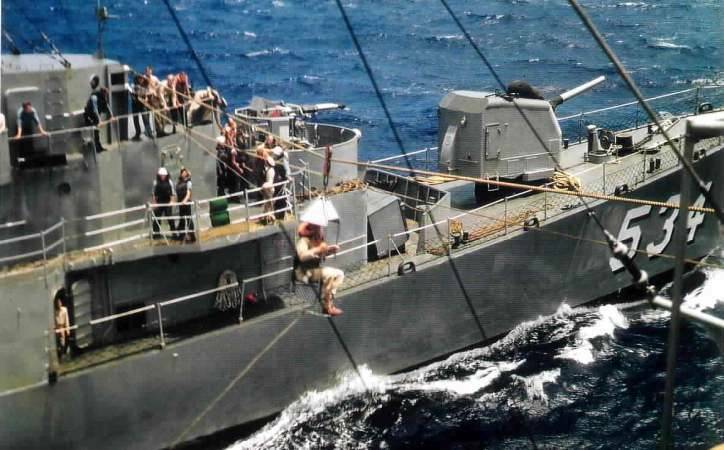 Underway replenishment is a common and routine, but dangerous evolution conducted at sea. Units can replenish ammunition, food, fuel, personnel, mail, spare parts, and so on. Many of the transfers can be accomplished by helicopter, but some cannot. Refueling is one that cannot. When refueling at sea is to be conducted, one ship is the delivering ship and the other the receiving ship. The delivering ship is the guide and the receiving ship the maneuvering ship. In evolutions such as an independent highline transfer, prior agreement is reached as to the guide and the maneuvering ship. At the commencement of the evolution, the delivering ship hoists ROMEO at the dip. When everything is ready, ROMEO is closed up (two blocked). The receiving ship then approaches and assumes station about 60 feet abeam. A shot line is passed between the two ships by the delivery ship. The delivery ship provides all the “tools.” Increasingly heavier lines are used to pull over the heavier equipment. At the same time, a sound powered telephone and marker line is passed between the ships. This is a bridge-to-bridge means of communication. The marker line has pieces of canvas about 12” square painted RED with 20, YELLOW with 40, BLUE with 60, WHITE with 80, and GREEN with 100 painted on them. These indicate the distance in feet between the ships and are constantly tended. If you have trouble remembering the color code, think of “ rub your balls with grease.” At night, small lights are used as references. Due to the weight of the fuel hose, wire rope and winches are used for support and proper line tension. Other highline transfers use heavy manila line, blocks (pulleys), and working parties to support the load and maintain tension. When steering conditions are difficult this can be a tough job for the 50 or more men hauling in and slacking off the line. After supporting high lines are secured, the “saddles” which are on trolleys that ride the highline and hold the fuel hoses are hauled over. The fuel hoses are inserted in the fueling trucks and the refueling commences. At the same time, there are additional sound power phone lines passed between the fueling stations on both ships. Fuel is transferred at about 80 to 100 pounds. This pressure is rather high, so if anything happens to cause a fuel line rupture, the result is a big mess resulting in several “salty words,” scrambling men, and bales of rags. Black oil is really bad on a ship with wooden decks such as a World War II heavy cruiser. Ask anyone from the USS LOS ANGELES. All lines require constant tending-slacking off and hauling in-as the ships move apart and close in. Five minutes before refueling is completed, PREP is hoisted at the dip. One minute before all lines are clear, PREP is closed up. When the refueling is complete, the process is reversed. 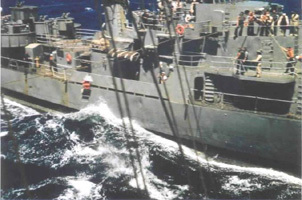 It is common for destroyers to refuel simultaneously from both sides of an oiler or a “big boy”. Depending on the amount of fuel needed, refueling can take up to an hour for a destroyer and several hours for large ships. Winds and seas can drive the ships apart or push them together but the main reason two ship are drawn together is the suction that is created by the rush of water between the two ships. It is generally NOT the fault of a lazy helmsman. About 60 feet of separation will nullify the suction. The most dangerous part of the evolution from a ship handling point of view is the approach and the suction from the screws of the guide. This is why is it generally best to be steering away when the approaching ship's bow is even with the guide's stern. Large, baglike, manila fenders, called camels, are hung over the side to protect the hulls if they do scrub together. Contact is not uncommon although serious collisions are rare. 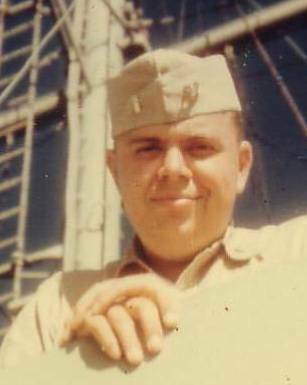 As remembered by Keith Allen of USS Cockrell DE 366 and 28 years with L.A.P.D. In August of 1953 Cockrell, accompanied by Whitehurst DE 634, left Pearl Harbor for duty in the West Pacific. After leaving Midway the two ships assumed their stations to execute a highline transfer. Each crew had seen all the movies they had onboard and a highline operation was deemed to be the best way to swap the large number of reel boxes. I was fresh out of boot camp so when the word was passed for the working party to man the highline, I just continued my typing duties. A short while later I was jolted by a terrific crunch, lights went out, there was violent shuddering with shaking noises...all consistent with a collision. At Subic Bay (US Naval Repair Facilities in Philippine Islands) I saw a large hole in our starboard bow, above the waterline. Immediately general quarters was sounded which only compounded the scare I got when the ships hit. Before we had time to reach our battle stations the word was passed, "belay general quarters, standby to abandon ship". By the time I got topside I could see Whitehurst turning directly in front of Cockrell. There was no more contact. The ship was not abandoned but we were diverted to Subic Bay for repairs before continuing on to our station in the China sea..
Pictures provided by Keith Allen are attributed to Cockrell crew member, Jerry Johns. Comments on this story from veterans of either ship will be welcomed and published here if possible. I was in the number 2 fire room during the movie exchange. I told my fireman put in a big 29 burner in case we needed higher speed. We felt the ships bump together and suddenly got a call for flank speed. Number 2 answered the call. We turned to port and went across the bow of Cockrell so they wouldn't be hit again. 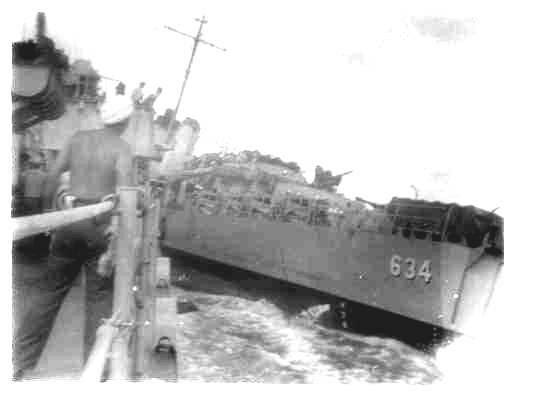 I was told later that Whitehurst was to hold the "steady" course but Cockrell just got too close and the ships hit. What was so funny. our Engineering Officer came running into the fire room as I was running out and said, "Is everything ok Scott"? I replied, joking, "Everything is fine here but I think the forward engine room is half full of water". He went down the ladder real fast. A few minutes later he came back up and said, "I should have known you were trying to excite me". Ha Ha. Whitehurst was in Pearl Harbor on a weekend. Almost everyone was on liberty and Mr. Soltes, the Engineering Officer, was OD and probably the only officer aboard. 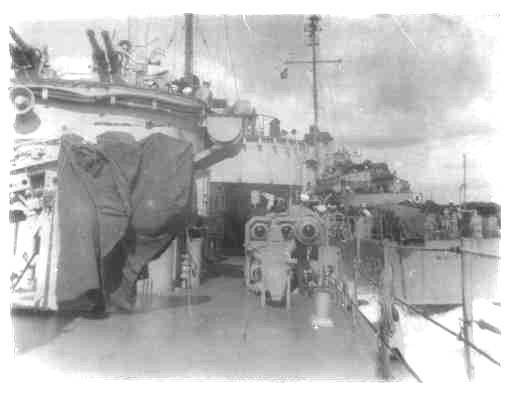 I was taking on fuel oil at the starboard side, after fueling trunk, and pumping it into the forward storage tanks, and the boiler service tank. After a while it seemed to me that the ship was tilting toward the pier. I scratched my head trying to figure out why, as the ship continued slowly rolling to starboard. Soon it had a significant list toward the dock. I was still scratching my head when a very excited BM2 McDermott, bounded down the ladder in about three steps and shouted. "Mr. Soltes sez,'do you know what the @#$%^& hell you are doing? Are you trying to sink this ship at the pier?'" Without waiting for a reply, McDermott ran back up the ladder and the cause of the problem hit me like a hammer. I had forgotten to open the sluice valve between the aft storage tanks so no oil was being delivered to the port side. Upon opening the valve, the ship slowly righted herself as the oil in the tanks leveled. Mr. Soltes, who was my division officer, never mentioned the incident. Fueling at sea could be a very messy business. A man could be completely drenched in oil. I remember one time I was assigned to the sounding tube that was located in the N division compartment. It gave new meaning to the old navy expression, "there is a right way, a wrong way, and the navy way'. They had me painting the bulkhead when oil splashed on it. It came out a nice "battleship gray". In addition to fuel oil, ships also need lubricating oil. It generally come in a 55 gallon barrel. Draining the oil from the barrel into the storage sump, especially in cold weather is a long, drawn out affair. Well, it is common knowledge that by applying air pressure to the barrel, the oil will be forced out more quickly. In order to do this an illegal fitting is made to screw into the barrel then attached to the ship's compressed air supply. Air pressure is applied and the barrel is emptied quickly. However, the activity is dangerous and thus, illegal. One day while inspecting the ship, I saw this operation in progress from about thirty feet away. The next thing I saw was the barrel rupturing and lube oil everywhere. What a mess! The "snipes" never allowed the fitting and the illegal operation to occur again. 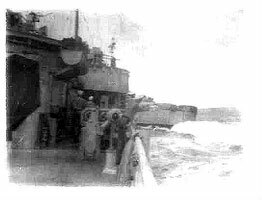 On one occasion in the China Sea, we were taking on fuel from an oiler. 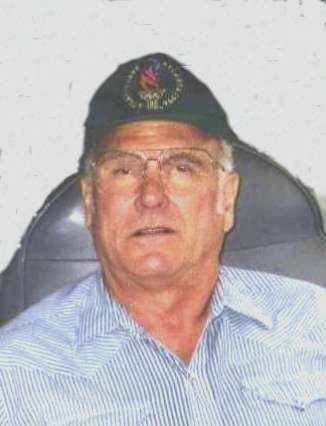 Hugh Toney, the Oil King, had all firemen helping. He called for the pressure to be cut but they misunderstood and raised it. The fuel line parted and high pressure oil hit me in the back, soaking me and knocking me off my feet. As I slid down the side of the ship, I grabbed a depth charge rack and hung on. Some of the Deck Force men pulled me out of this predicament. The Doc gave me some green soap to shower with. I was never reimbursed for my clothes, which I threw over the side. I later heard that the deck force men were paid for the clothes ruined by the oil.